Editor’s Note: Bishop Coleman published these thoughts in the Jan. 29 issue of The Catholic Observer as part of a collaborative effort in Massachusetts to promote Catholic Schools. Some families sacrifice much in order to provide their children a Catholic education. The main reason for this is quite simple: They want their sons and daughters to learn and live the Gospel of Jesus Christ. In addition, many people who choose Catholic over public schools do so because they desire educators who are committed to the mission of the church and who encourage their children to take responsibility for themselves, respect others, and learn Catholic values and teachings. We often think of the church as the place where we come together to worship God. 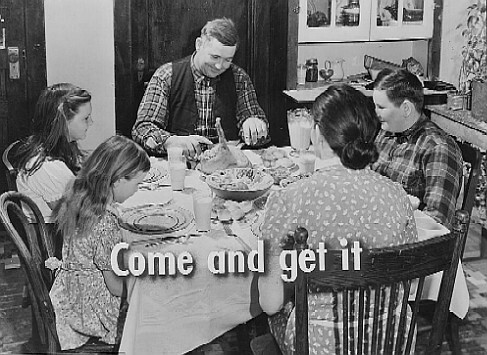 We must not forget, however, what we sometimes refer to as the “domestic church.” Children begin to learn the basic practices of their faith, recite their prayers, and acquire a Christian morality not by sitting in the pews, but from their parents’ efforts and example and even by interacting at home with their siblings. Nevertheless, it remains obvious that over the past two generations our society has witnessed changes in and challenges to the traditional family structure. For example, both father and mother usually have careers and work. Furthermore, a large number of families have only a single parent to provide for and raise the children. The average number of children in each family also has diminished. In light of these situations and other sometimes very complex ones, the role of a Catholic school can help a great deal. Catholic elementary, middle, and high schools provide a place where not only one can receive teaching in language arts, social studies, and mathematics, but also where pupils attend Mass, read the Bible, and pray together. Dedicated teachers, lay men and women for the most part, can serve as Christian role models for children. They can answer questions about the faith, so that young people learn why as a church we believe as we do, as well as the content of what we believe. They can also show their students how to put those beliefs into practice. 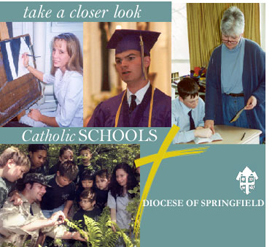 At Catholic schools, faith constitutes not just a part of one’s education, but takes in the whole range of subjects. This is so because faith sheds light on and evaluates every aspect of human experience. Catholic education does not treat faith as one or another dimension of a person’s life; it considers faith the one dimension that gives all the rest meaning. In other words, Catholic schools provide a culture in which the next generation can grow up and mature. Our Catholic schools propose a culture of life in the face of the current culture of death. They offer a vision of strong values to children and young people. They also provide a safe environment. Because of the way the family is developing in our society, mothers and fathers need as much assistance to provide their sons and daughters with the kind of education their children deserve. Based on these considerations, one can only conclude that the value of a Catholic education in light of the diminishing family is inestimable. 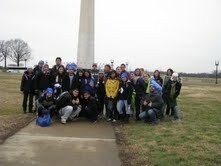 Note: Emanuel Vasconcelos, campus minister at Cathedral High School in Springfield, accompanied 46 students from Cathedral to Washington, D.C. for the annual March for Life. Known as “Mr. V.” to his students, he wrote a reflection about this tiring but inspiring trip. This year, Cathedral High School was able to send 46 students on the Annual March for Life in Washington, D.C. to speak up for those without a voice. It all began at the Basilica of St. Stanislaus in Chicopee with Eucharistic adoration and a special Mass celebrated by Conventual Franciscan Father Marek Stybor. 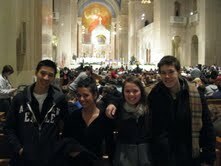 We joined in prayer with a many of the youth of the diocese who were attending the March. 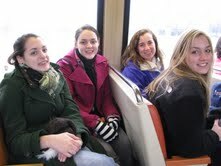 Some of the groups were from St. Mary’s High School in Westfield, Holyoke Catholic High School, St. Joan of Arc/St. George School and the SanDamiano Group, all from Chicopee, and Our Lady of the Lake Parish in Southwick. It was a beautiful, prayer-filled liturgy. We filled up three buses. The drive was a long one overnight, so we started our pilgrimage to D.C. with a Rosary which I led over the PA system on the bus. The students joined in and raised their voices in prayer along the highway. We arrived in D.C. early in the morning. We went to the National Shrine of the Basilica of the Immaculate Conception for an early morning Mass, along with thousands of other youth and young adults who were in attendance. That time of prayer was a great send-off to the Rally and March. 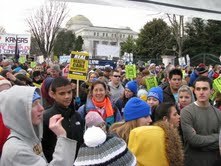 I think some of our students were surprised at the great number of people that attended the March. 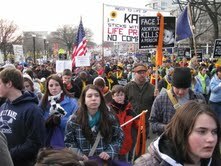 It was estimated that over 300,000 people were in the March for Life with us! It was encouraging to walk alongside groups from around the country, with high school and college-age youth, as well as long-time Pro-Lifers. All were gathered to stand up for the cause of life. I ran into a number of college (Providence College) friends and even a Cathedral alum! Everyone who attended the March certainly left with a sense of mission: to educate ourselves and our world of the evils of abortion and to pray for laws to be enacted to protect the unborn. We also built up a community among our students to show we are not alone in this mission. Mr. V. is a 2006 graduate of Providence College (PC). He also holds an M.A. from P.C. 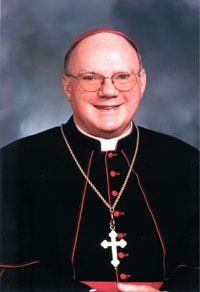 which he received after participating in the PACT program (Providence Alliance for Catholic Teachers). He is an accomplished vocalist and a member of the St. Michael’s Cathedral Choir of Boys and Adults. Gerri Frechette liked to joke that her son, Father Richard Frechette, better known by fellow Passionists, family and friends as Father Rick, got his stubborn determination from her. It’s a determination that has led this Passionist priest, ordained in 1978 and doctor of osteopathic medicine on a 26-year mission to improve living conditions and health care for the world’s poorest children. 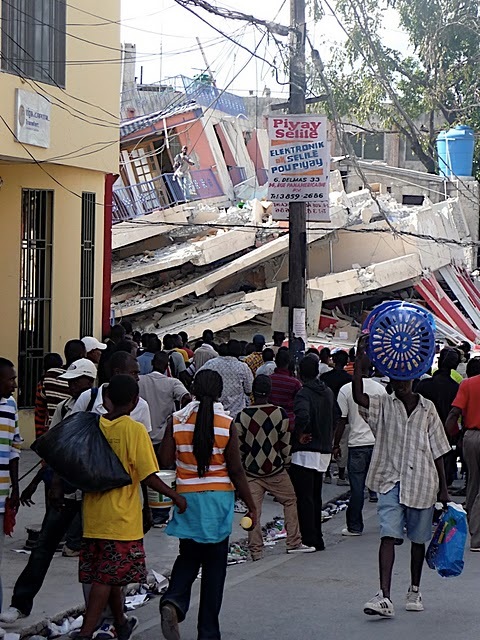 On Jan. 12, while home in Connecticut to care for his dying mother Gerri, Father Rick watched helplessly, in horror and shock, as news reports of the devastating 7.0 earthquake in the Haitian capital, Port-au-Prince, became public, its terrible impact taking shape. For him these media reports were especially dreadful, frightening and personal. 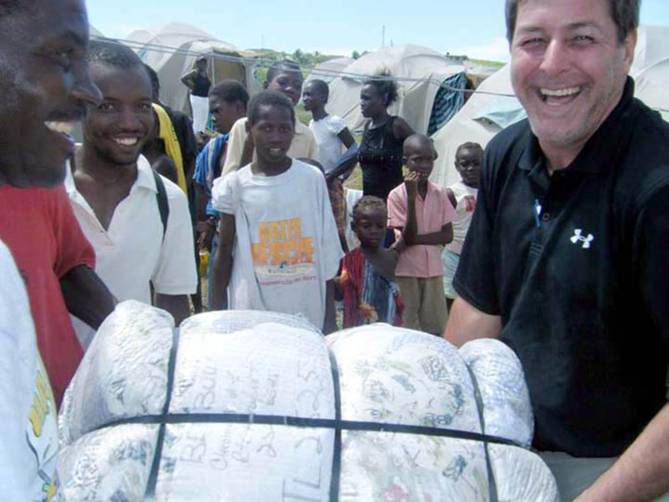 Since receiving his medical degree in 1998 from the New York College of Osteopathic Medicine, Father Rick has been overseeing the development and operation of the 120-bed children’s hospital, St. Damien’s, located in Tabarre, just 15 miles northeast of the epicenter of the earthquake in Port-Au-Prince. It is a hospital he helped build and a facility which provides long-term care to critically ill children and outpatient services to more than 40,000 children and adults each year. 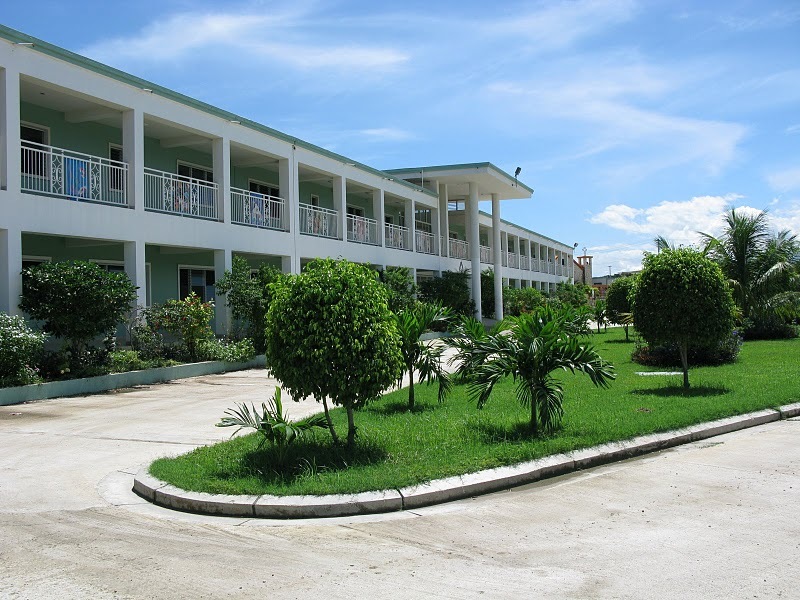 St. Damien’s Pediatric Hospital opened in 2006, part of Nuestros Pequeños Hermanos (NPH) (Our Little Brothers and Sisters), an international agency founded in 1954 by a young American priest serving in Mexico, Father William Wasson, to provide homes for homeless youth. More than 16,000 children have since grown up in the NPH family, which now operates homes in eight additional countries: Honduras, Haiti, Nicaragua, Guatemala, El Salvador, the Dominican Republic, Peru and Bolivia. Today, more than 3,300 children are being cared for in a loving, secure environment. Just 24 hours later, Father Rick with other staff arrived in Santo Domingo. The next morning, through the courtesy of the Dominican Republic government, they boarded the presidential helicopter for a quick transport to Port-au-Prince, Haiti. What greeted them was the stark reality of the devastation left in the wake of the initial earthquake and its numerous aftershocks. According to the International Red Cross, the earthquake has affected 3 million people. The actual death toll may never be known, though the Haiti government now suggests it will be some 200,000 lives lost. Among their first tasks was the medical evacuation of American volunteers, as well as of one of the Cuban doctors serving in Haiti. Then Father Rick’s attention quickly turned to ministering to the dying and their families, conducting burial services within hours of arriving on site, a scene captured by a news crew from “NBC Nightly News,” which interviewed Father Rick on its Jan. 14 evening broadcast. In an e-mail later on Jan. 14, Father Rick outlined his first hours back in the stricken area which included burying co-workers from the Haitian ministries, individuals he had worked closely with over the years. Father Rick went on to speak of the deaths of so many that worked in the various homes, medical clinics and outreach centers run by Nuestros Pequeños Hermanos, including the hospital’s only physician’s assistant, a woman simply known as Immacula as well as the death of an ex-pequeno from one of the NPH homes, Wilfrid Altisme, who was in his fifth year of seminary for priesthood. Devastation beyond comprehension surrounded them. Structural damages to the pediatric hospital itself seem superficial at first glance, but about half the outer perimeter walls have fallen. 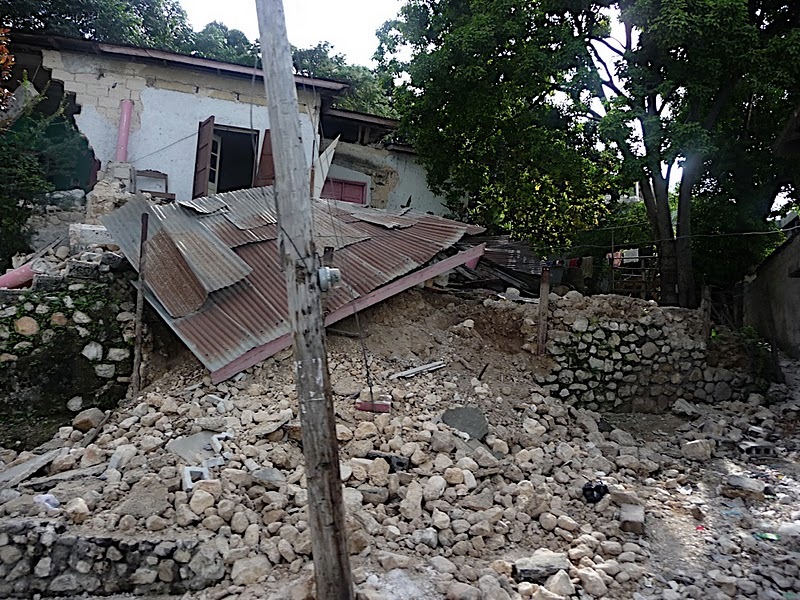 The old NPH hospital in Petionville is in ruins, and teams of workers were found digging there for an American volunteer named Molly who had not been seen since the initial earthquake. 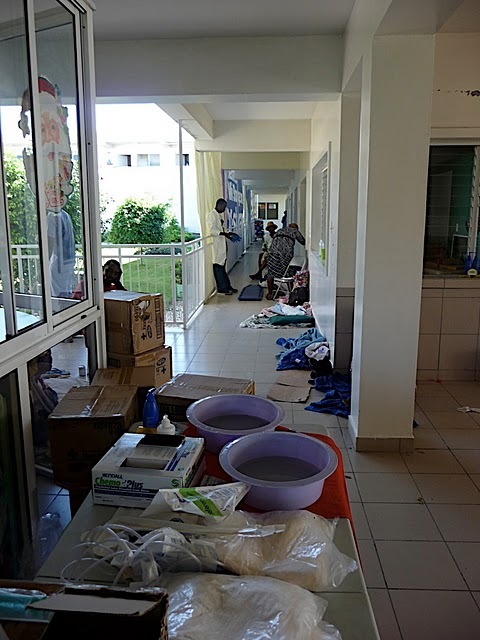 Because of these conditions and continuing worries concerning aftershocks and the structural integrity of structures that remained standing, the hospital’s operations where moved outside under tents. The onslaught of victims was far outpacing the diminishing supplies, not the least of which was diesel and water. Even prior to the earthquake, Father Rick had stated that he has never seen any place as devastated as Haiti with its heartbreaking poverty and desperate living conditions. This latest tragedy perpetuates what was already a severely distressed city and country, children being the most vulnerable to the effects of such a cataclysmic occurrence. 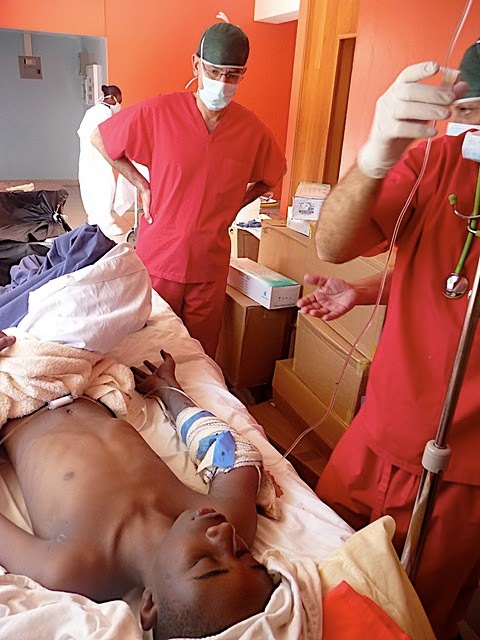 In addition to its hospitals and children’s homes, NPH has also started the St. Luke program which helps young adults once they are old enough to leave the orphanages. Currently 160 former orphans are employed by St. Luke’s, involving 16 street schools, a nutritional program for school children, burial services for the indigent, mobile clinics, food and water distribution as well as disaster services. Father Rick first learned about the work of Nuestros Pequeños Hermanos in the early 1980s while in Mexico to learn Spanish. After accepting an invitation to help out at a NPH facility, he became fascinated by the work of this organization, eventually joining it with the full blessing and support of his American Passionist community. He currently serves as director of medical services for NPH International. In addition to his time spent providing medical care in Haiti, he also travels the world raising awareness on the needs of NPH in helping the poorest children in the world. 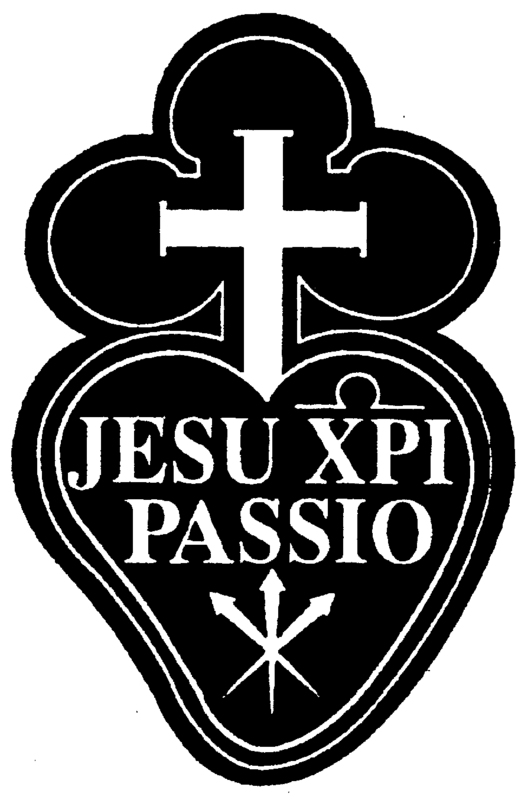 The provincial of the Eastern Province of St. Paul of the Cross, Father Joseph Jones, expressed the support of the entire Passionist community for the work of Father Rick. “We have long been moved by Father Rick’s commitment to the poor, especially the impoverished children of Haiti,” he said. “Clearly this is a dark hour for a people who have suffered untold misery for many generations. Yet as I have personally witnessed, their faith is truly inspiring and we stand ready to support them now and in the future as they rebuild,” he promised. Fr. 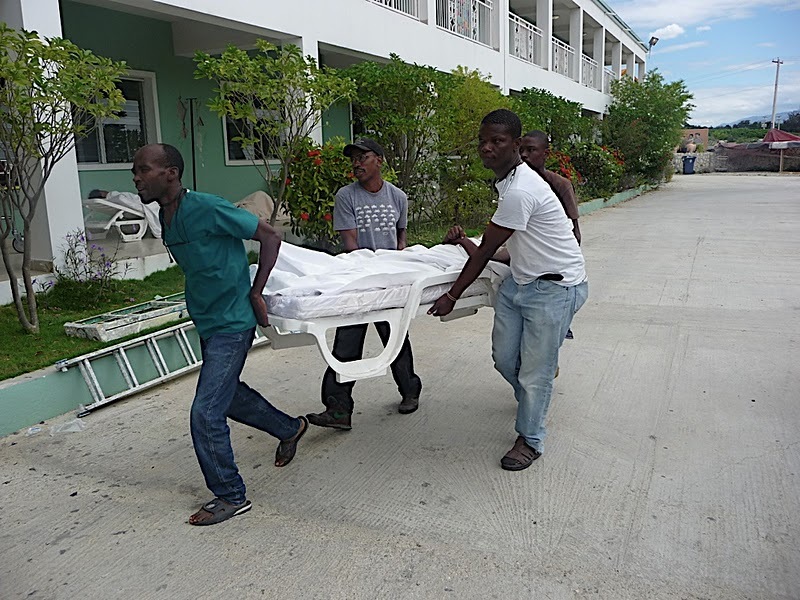 Rick was able to spend a few days in Haiti sorting out things before returning to his mother’s bedside. Gerri Frechette passed away soon after his return, surrounded by her beloved husband and all her children. Her “determined” son offered Mass in her room praying for his mother who he no doubt hoped would also carry the intentions of the people of Haiti with her into her heavenly reward. When I heard that in the overnight hours on the BBC World Service radio, I knew that the devastation in Haiti was truly spectacular. As a reporter for Catholic Communications, I pride myself on verifying facts carefully. But I have also been a “pastor” and friend to Haitians for many years, so I knew with certainty what was happening in the darkened streets of Port-au-Prince. For nearly a century, Haiti has had the sad distinction of being the poorest country in the Western Hemisphere. Even in the best of times, first time visitors to the streets of Port-au-Prince find it difficult to sleep – so grinding and widespread is the poverty all around them. North Americans and Europeans return home with a burning desire to “do something” about the problems they see all around them. Haitians know better. They are a hard-working, entrepreneurial people who welcome the assistance of foreign friends who want to help them develop their nation. But they also know firsthand the limitations of fragile governments and often uncoordinated relief agencies. Why were those earthquake survivors singing in the streets? They immediately knew from the evidence around them that their only true help comes from God. 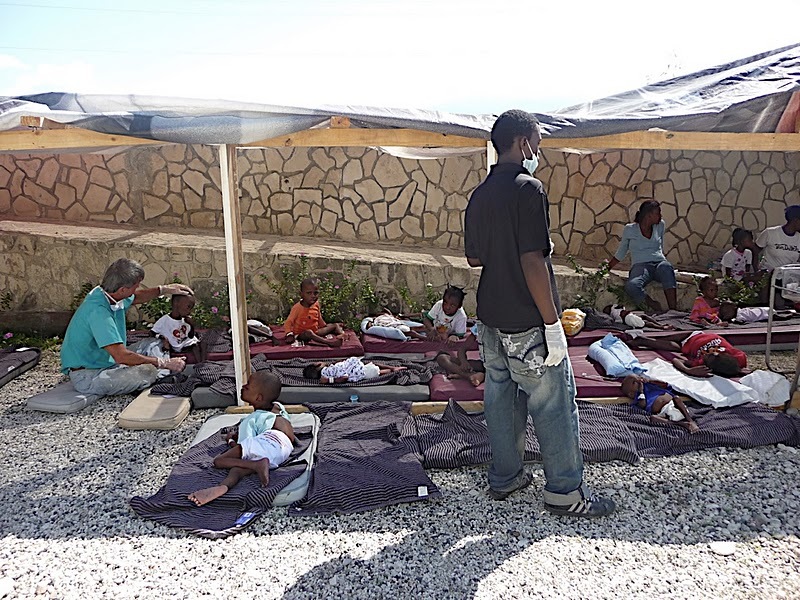 Western Massachusetts’ Haitians, most of whom arrived in our area in the last 15 years, have survived natural and man-made disasters before. 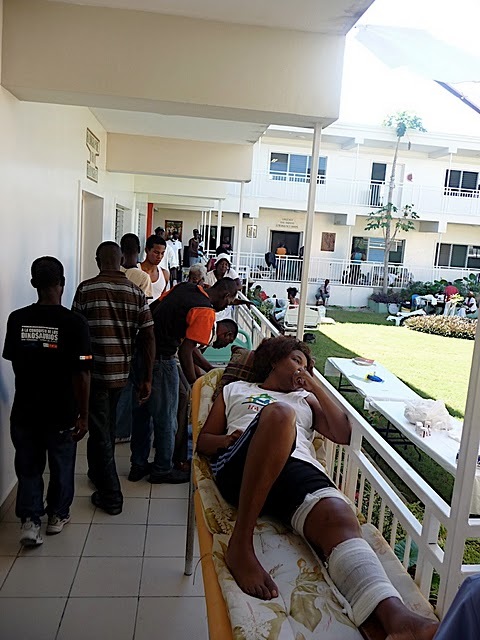 Two years ago, I received several frantic phone calls from friends with relatives in northern city of Les Gonaives. Did I know that their loved ones were perched on the roofs of their flooded homes, and that hundreds of bodies were washed out to sea when Hurricane Gustave blew through the city? Some asked if the tragedy of Les Gonaives would receive anywhere near the news coverage of what happened to New Orleans after Hurricane Katrina. Most knew the answer, but wanted to talk to me in my role as a priest, rather than as a media analyst. Born in a slave revolt in the 1790s, Haiti has been plagued with over two centuries of isolation from the major powers of the world. 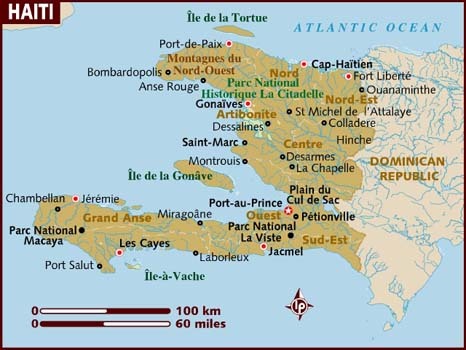 In 1789, Toussaint Louverture took literally the French Revolution’s slogan, “Liberté, Egalité, Franternité,” and perhaps naively believed that a slavery-free territory of France, if not an independent, democratic republic, could thrive just 90 miles off the coast of Florida. Toussaint died in a French prison, where he was placed by fearful Europeans who believed that blacks were incapable of ruling themselves. This sad history still lives in the hearts and minds of all Haitians, who have learned that help from abroad, and failed rule of government after government, can never save them from their plight. In the United States, a minority of disgruntled citizens go to “tea parties” or call radio talk shows while an apathetic majority still passively expects government to make their lives better with no civic involvement or sacrifice on the part of the individual. In Haiti, most citizens have simply learned to make do without government at all. The same applies to the church. Yes, Haitian Catholics frequently ask their clergy for help with their material needs. But they rarely complain when their parish church lacks the amenities that U.S. Catholics take for granted. A few years ago, I spent a weekend in Savanne à Roches, a town in the Artibonite Valley in central Haiti. 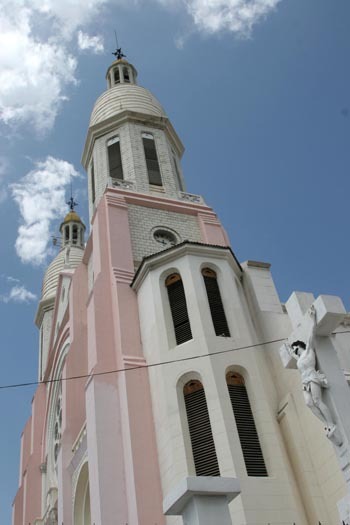 Since St. Louis-de-France Church in Savanne à Roches is just one of ten mission stations attached to the larger town of Petite Rivière de l’Artibonite, it celebrates a Sunday Mass just three or four times a year. The parishioners welcomed the arrival of the blanc (foreign) priest whose ability to preach in Creole is shaky at best. About 200 people came to a 7:30 a.m. Mass, many of whom had walked up to seven miles to church. After hearing perhaps 60 confessions, I again celebrated the liturgy at 11 a.m. for 400 more parishioners. The church had no electricity, no sound system, no glass in its windows, and only a handful of benches to accommodate fewer than half of the Mass-goers. But the congregation danced, sang, read the Scriptures and brought Communion to the sick. On most Sundays, the parishioners gather for servis – a Sunday Celebration in the Absence of a Priest. And at the risk of offending Springfield parishioners, I believe that the mission parish in Savanne à Roches is far more vibrant than most parishes in the Diocese of Springfield. 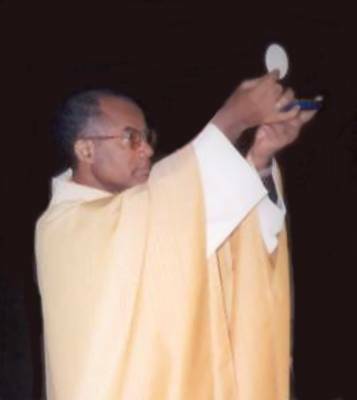 Archbishop Joseph Serge Miot, a fine church leader whom I have met, was among the dead in today’s catastrophe, while his cathedral and most churches in Port-au-Prince are just piles of rubble today. 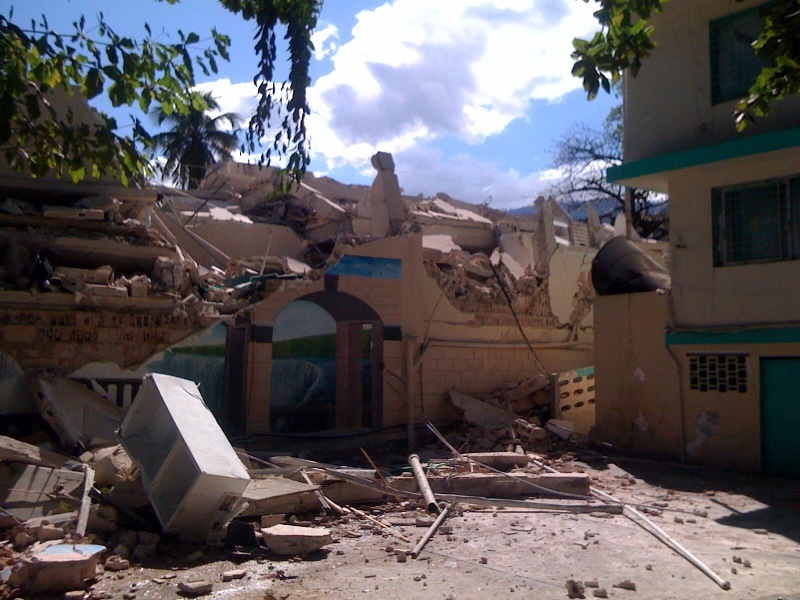 But the church, like Haiti itself, will survive this latest tragedy, despite the enormity of the death toll and property damage. For Haitians are a people of faith. Without churches, without government buildings, without hospitals and without many of their loves ones, they will continue to gather in public places and sing hymns together. 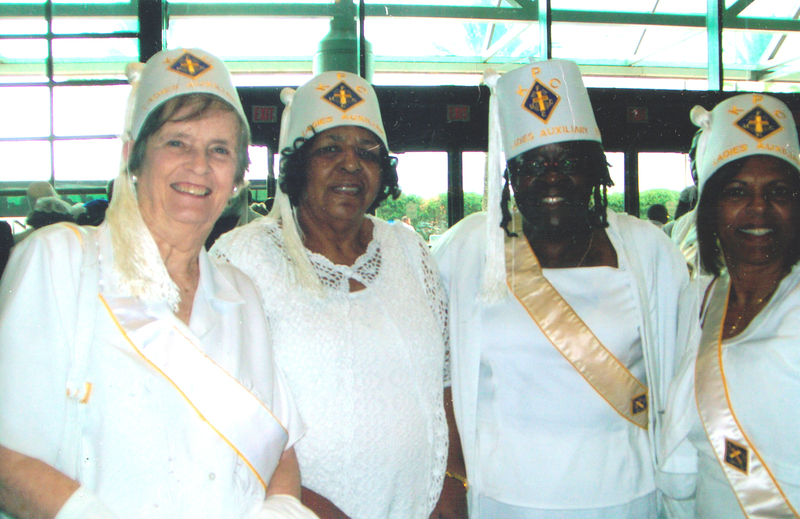 New Orleans was the place to be in August 2009 when the Knights and Ladies of St. Peter Claver came together and celebrated their 100th anniversary of this noble order. This was a double celebration for me. First, it was my first visit to New Orleans. And second being able to take part in this historic occasion was a blessing. I attended this convention with Marion Johnson, Ramona Thomas and Ann Leavenworth. We were fortunate to be able to get into New Orleans a few days early, so I was able to take in some sights and tastes of New Orleans. As I walked the streets of the French Quarter, I had the choice of many shops and restaurants to visit. I tasted my first beignet with my morning tea. This is a popular breakfast pastry. The lines were long but people were willing to wait and so was I. As I continued to walk the streets of the French Quarter I saw very old buildings with beautiful flowers hanging from their balconies, horse drawn carriages with passengers and a beautiful old cathedral. I was able to visit a flea market and across from there was a jazz festival remembering Louis Armstrong. People, young and old, were dancing in the street and others were tapping their feet to the beat. I also got to see a marching jazz band which I’ve only seen before on television. No matter where you went, that jazz sound was loud and clear. The icing on the cake came when all of my Claver brothers and sisters finally came together on Sunday for the opening Mass of the convention. Before Mass there was a parade of banners from the different courts. They held their banners high and proud and in the midst was the Holy Family Court 290 from Springfield, Massachusetts with Marion and Ramona carrying our flag and taking their turn to march in the parade. We were blessed to have Mass every day of the convention. What a way to start the day. On the first day of the women’s session of the convention there were five past Supreme Ladies in Chambers. They shared some words of wisdom with us and today’s Supreme Lady. 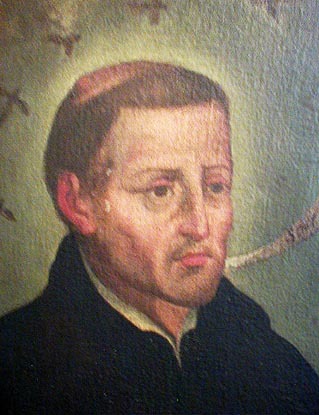 The Ladies were so moved that they chanted “Yes We Can!” I wondered if St. Peter Claver heard us up in heaven as we vowed to continue his work in our homes, churches and in our community for the next 100 years. We took care of business, but also got a chance to renew old and make new friendships at the Banquet or Masquerade Ball. At the closing of the Convention, the Mayor of New Orleans graced us with his presence. The Honorable Ray Nagin welcomed us to New Orleans and said a few words. I remember him saying that he would think about joining Claver after his term ended. Yes, God is good and we got our work done and arrived home safe. That will be a meeting to remember for a long time.